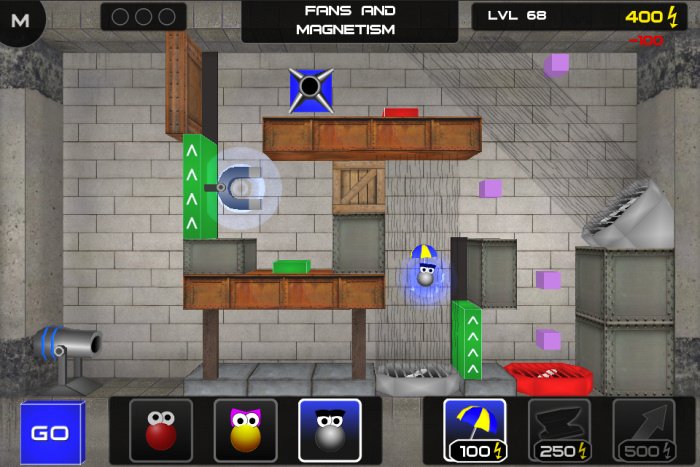 Today's screenshot show's a new level that combines magnets and fans. You can see the metal OddBall has just activated the Umbrella Powerup in order to be affected by a fan. Between the fan's wind and the nearby magnet, the metal OddBall should get sucked into the crate and push it onto the button.